Today, there are over 36,000 homes for sale in Maryland. The first Maryland MLS (Multiple Listing Service) was on paper in one central location. This was followed by listing cards. Maryland real estate agents kept these cards in shoe boxes. Around 1980, listing sheets were printed by a dumb terminal. Finally in the 1990s, personal computers were able to print out listings right in an agent’s office. However, today through the Maryland MLS you can access every single one of these homes right from your home. Lets say you are considering a home in Maryland. Sit down in front of your computer and log onto www.mymarylandcastle.com. Use the “Quick Property Search button in the upper right hand corner. This takes you to the Maryland MLS. Click on New Search and enter your criteria. 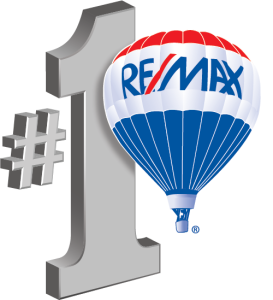 You are thinking of buying a home in Prince Georges County. Many people like Laurel Maryland because of its proximity to Washington D.C. and Baltimore Md. You want to buy a detached home in Laurel Maryland, but you might consider a town house if the price is right. You need three bedrooms and two full baths and a fenced yard. A separate dining room would be nice as well. All the criteria that is specified above can be used by the Maryland MLS to find your dream home. Don’t forget, in many cases you will be able to go inside these homes through a virtual tour. After you have put in all your specifics, click the Search button and within seconds all homes meeting those criteria are in front of you. In addition, you can use the Maryland MLS system to see what other homes in the neighborhood have sold for. You can also view other homes around the property you are considering. Sellers have all these features available to them as well. The Maryland MLS is a great resource for both buyers and sellers of Maryland real estate. For access to the Maryland MLS visit my site at Maryland home sales.